Puyallup Therapist: Jason Soto - Therapist 98371. 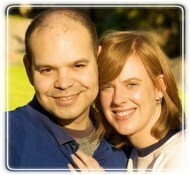 Hello my name is Jason Soto, I am a Licensed Marriage and Family Therapist and work with Couples and Individuals. I incorporate a variety of theory, using primarily emotionally focused techniques. I not only pay attention to the problem and its causes but also to past solutions and your unused strengths. Often people experiencing difficulties already possess the tools needed to remedy the current situation only having forgotten them. Thus your input and collaboration will always be valued. I earned my B.S. in psychology from Pacific Lutheran University, and my M.A. in Marriage and Family therapy (MA LMFT) from PLU as well (the longest accredited university in the State of Washington). I received training in Couples and Family Therapy at the PLU Couples & Family Therapy Clinic and Good Samaritan Behavioral Health (Child and Family Services). I am a Licensed Marriage & Family Therapist #LF60232789 in the State of Washington and a Clinical Member of both the American Association of Marriage and Family Therapists and Washington Association of Marriage and Family Therapists.